A couple of days ago I was in the mood to do a French press tutorial, and for that I need lots and lots of pictures, and as I usual couldn’t locate a single one of my battery charger for my Canon 7D. As I travel a lot and switch between two camera bags depending on what’s useful, I quite frequently misplace my chargers. Normally they usually turn up after thorough search, but this time they were properly gone. This wouldn’t have normally been a problem either, as I always carry a second charged battery with me but luck would have it, it was flat as well. Me being an impulsive sort of guy from time to time, I went out and thought I would get the cheapest charger I could find to get be my until my proper chargers bothers to turn up. But at the shop I found this wonderful little cube. 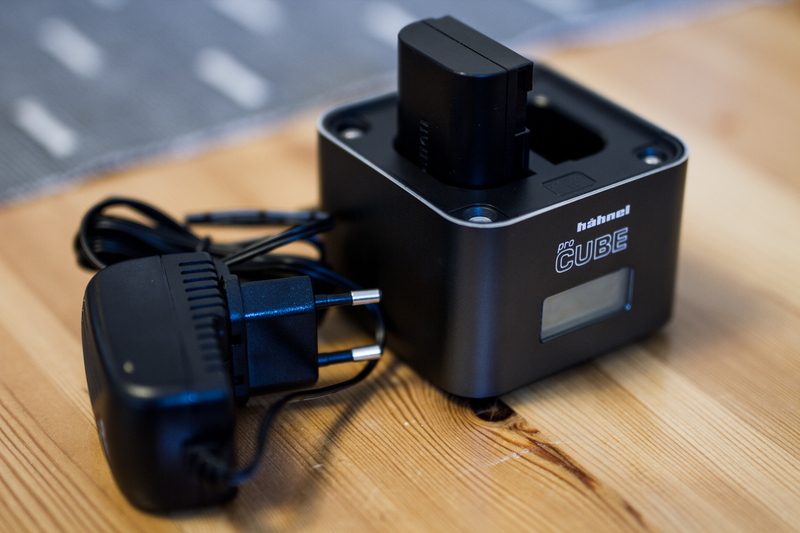 It’s a dual battery charger, that takes either Canon LP-E6s or LP-E8s, or Nikon EN-EL 14s or EN-EL 15s. Do note that I wrote either, it can’t charge more than one type of battery simultaneously, and changing the adapter plates are a bit of a hassle as you’ll see later. Additionally it comes with an adapter plate so that 4 AA Ni-MH/Ni-CD batteries can be charged (perfect for your flash) and an USB charging outlet, as well as all sorts of international plugs and a car adapter. Included in the box you get the ProCube itself, along with the 4 different plates for the different types of batteries that it supports, as well as the 4xAA adapter, a power brick with adapters for US, UK and Euro-style outlets, a 12VDC car adapter, a manual and a small tool (the paper clip looking thing on top of the manual). The first thing you should identify is which type of battery plate you need for your batteries (my Canon 7D takes LP-E6 batteries so I went for the LN-E6 plate). All of the plates are clearly marked so this shouldn’t present much difficulty. Next, you will need to insert the supersized Apple-SIM-card-tool into the hole in the backside of the ProCube, and when you do, the pre-installed battery plate will come undone. It doesn’t really pop out, so while you press the tool into the hole it might be a good idea to gently pull on the plate. And install the new one. There’s a white dot on the underside of each plate beside the connector, and the white wire needs to be on that side of the connector when you plug it back up. Why they did this I can’t really understand, as the connector only attaches one way and thus can’t be plugged in the wrong way, but I guess it makes it a bit easier for the end user when you can just line up the white wire with the white dot and don’t have to bother with figuring out which way the connector goes. 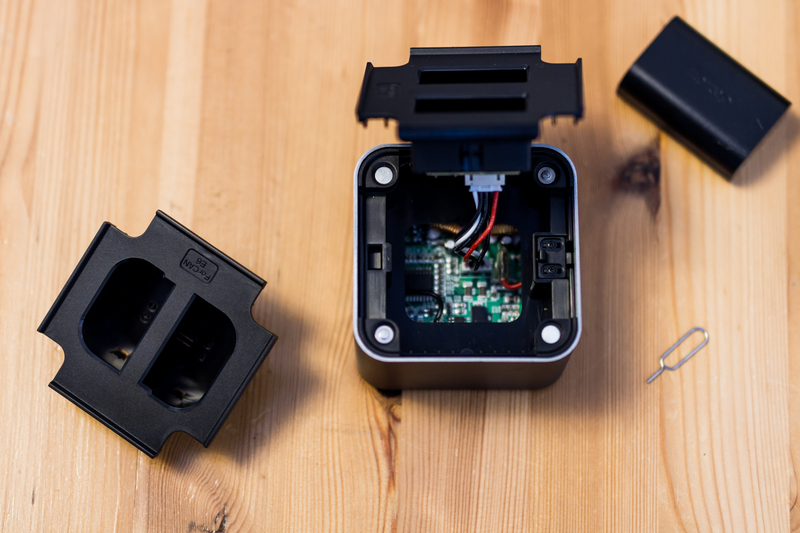 After that, it’s just a matter of popping the battery plate back in, the battery type marking should be at the front of the ProCube for them to latch together properly. 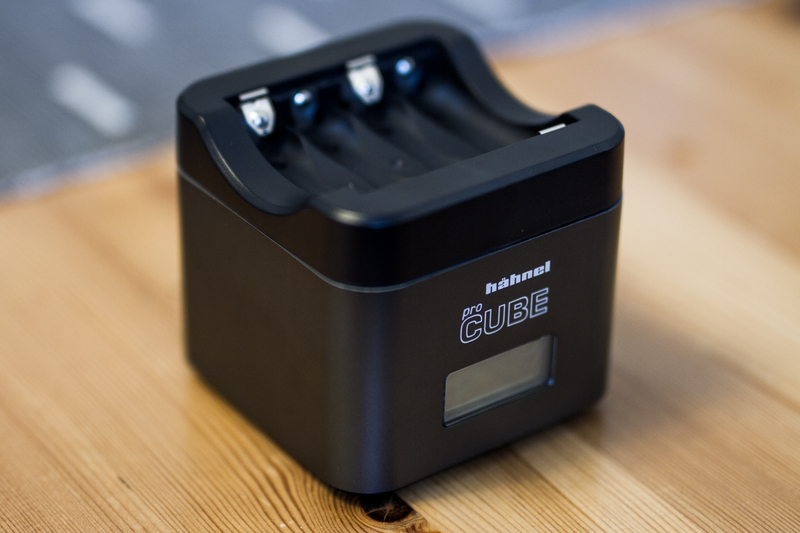 The ProCube also comes with an adapter that can charge 4 rechargeable AA batteries simultaneously, it snaps into place on top of the ProCube with magnets and can thus be easily installed and removed. 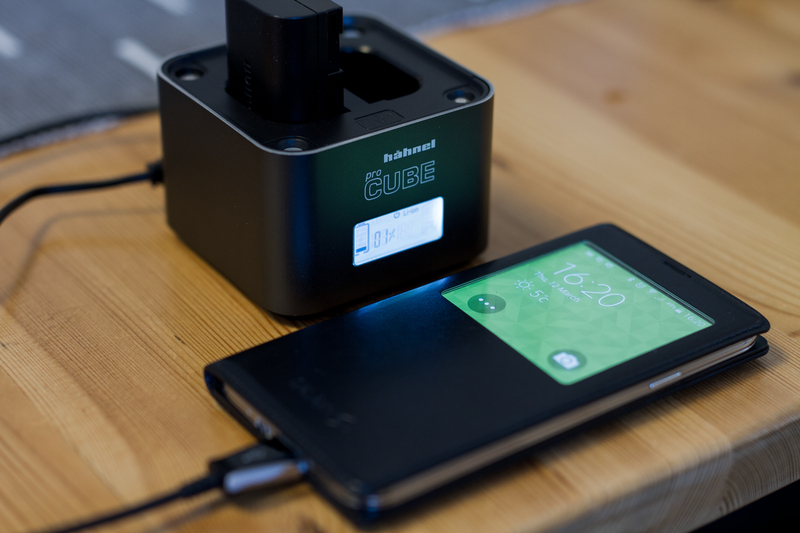 The ProCube has an 2.1 ampere USB port at the back, which allows it to charge your phone as well. 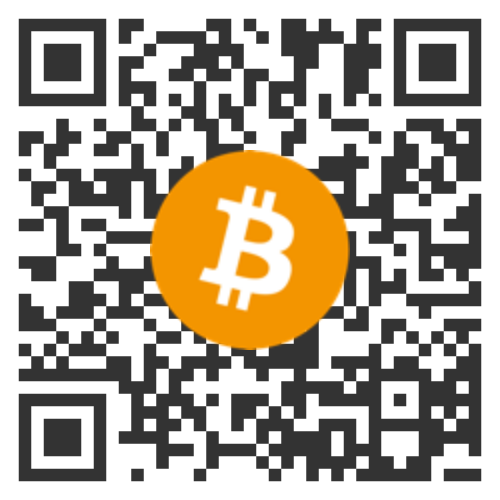 This I thought was an excellent feature, so I gave it a test. 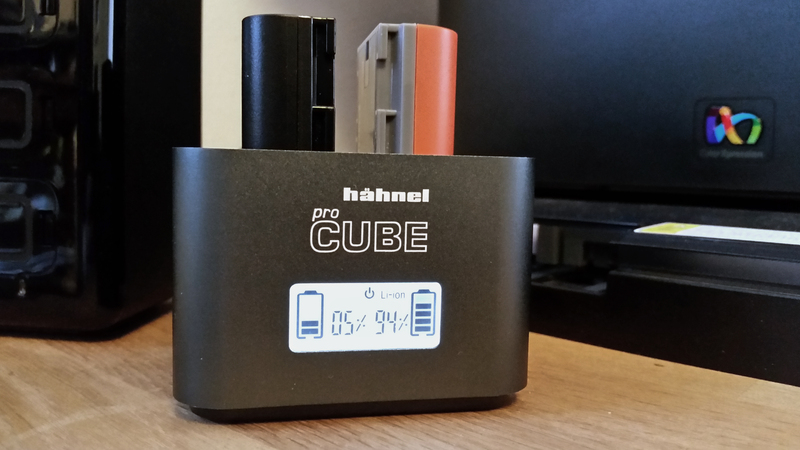 Here you can see the ProCube happily charging my Samsung S5. It works perfectly, and the port seems to be able to supply the full 2.1 amperes to the phone, at least when compared to a Samsung 10 watt charger. 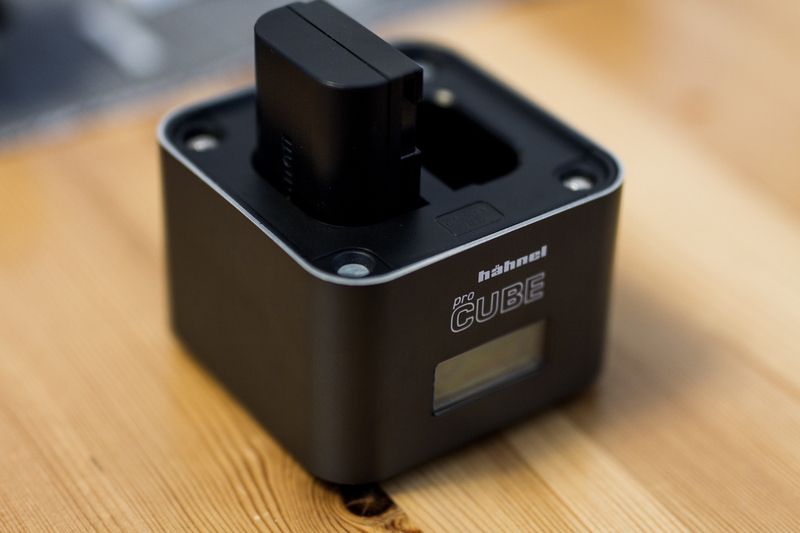 But, look what happens when you plug a battery into the ProCube at the same time! The phone stops charging! 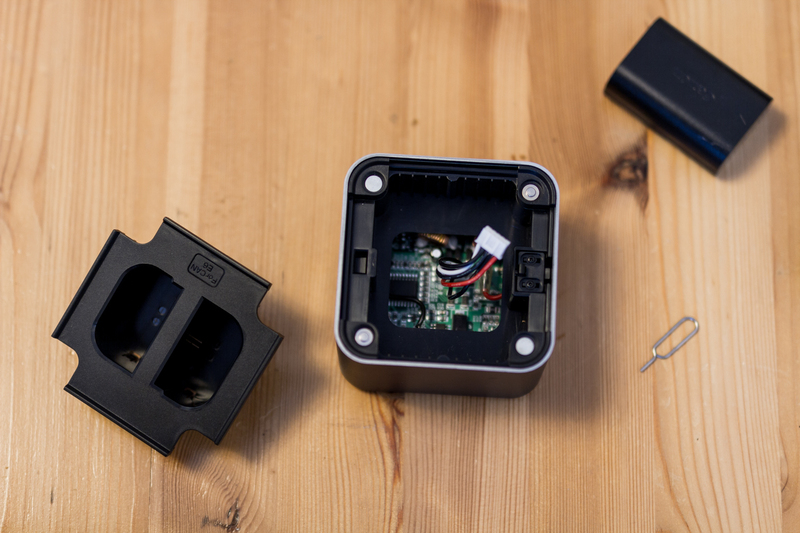 Turns out, the supply circuitry in the ProCube can only charge one thing at any given moment. And the priority seems to be, camera batteries, then the phone. This is a bit of a let-down, but I can understand that for it’s size and price they couldn’t have possibly fitted the circuitry to handle 2 Li-Ion batteries as well as a 2.1 A USB feed. The priority also seems to be to charge the most full battery first, then the least full, and finally activate the USB outlet. I did some testing with 2 batteries, one empty and the second one almost full, and the ProCube charged the orange battery (Hähnel HLX-E6) on the left first, and then the black battery (Canon LP-E6) on the right. 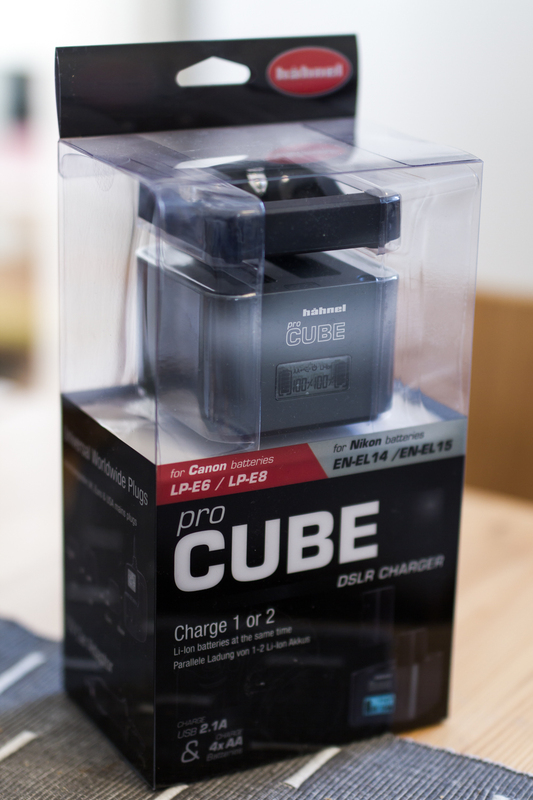 So, the ProCube charges basically everything in your camera bag; your camera batteries, your flash AAs as well as any phone or tablet. 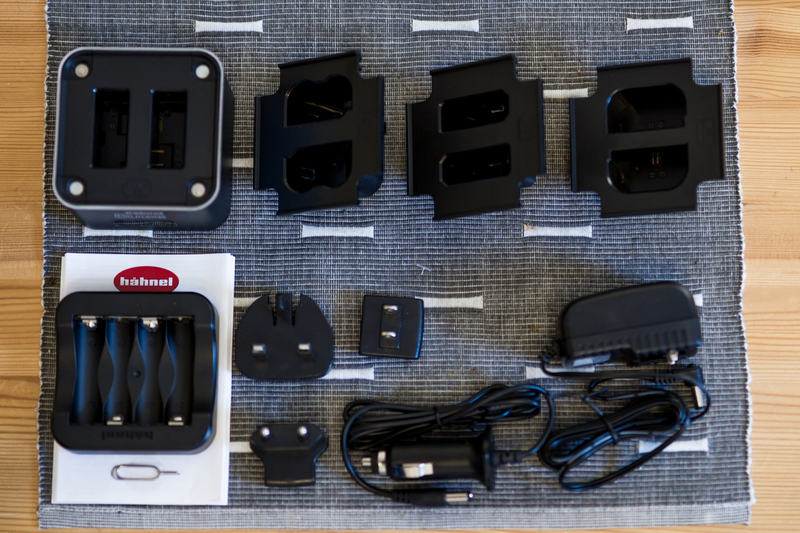 This in my book is a great plus, and it’s size and cornucopia of included wall adapters makes it the perfect multi-charger to bring along for travels. Though I wouldn’t bother with the included adapters and instead just use the one for my own country and use an international travel adapter instead, like the Targus World Power Travel Adapter. On the downside however, it only actually charges one thing at a time, and in a specific order. To some people this might be quite an issue, but to me it doesn’t really matter as I charge my batteries every time when I come back from a shoot, and then top them up a couple of hours before I leave for the next one. 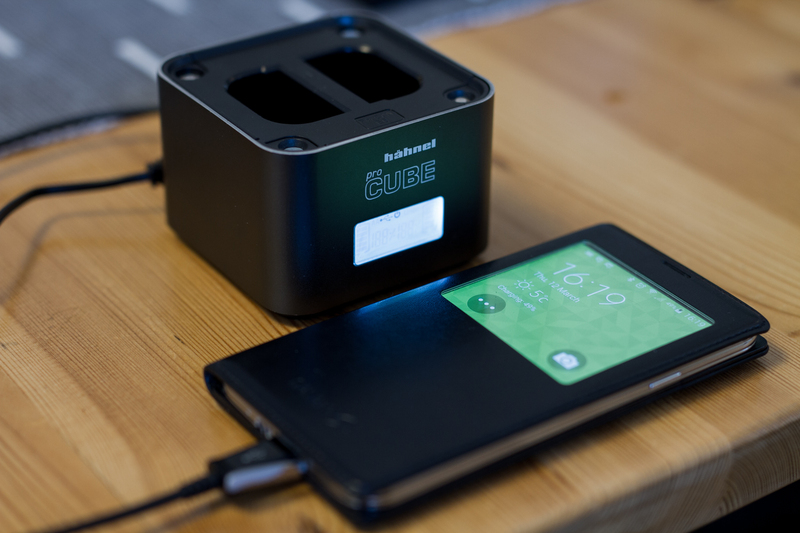 90% of the time, the ProCube will be sitting empty on my desk, and then it’s really neat that it doubles as an USB charger for my phone. Overall, it’s a really solid, well built charger, with basically every single option included. And that it costs about the same as an original Canon charger, depending on where you get it (I picked it up here in Finland for 89,00 €, the Canon charger mentioned earlier costs 129,90 € in the same shop). it’s been almost a year since you wrote this post, how have you liked the charger so far? I’ve been trying to find, what seems to be impossible, negative reviews on the charger, but it’s gotten 5/5 on almost all sites (Amazon etc.) which has lead me to believe that they are all fake reviews. Haha, yeah, sorry for being a bit confusing. When I’ve been looking into whether or not the charger is any good, I’ve been trying to find reviews. And when looking at reviews I try to find both positive and negative reviews, largely because if I can only find super positive reviews, a warning flag goes off, that those reviews are probably bought by the manufacturer (i.e. dishonest reviews). Generally speaking, there should always be a couple of reviews that are 1/5 because some guy got ticked of that the charger won’t charge his insert-random-battery-type or that the post office broke the package, etc. Reviews that don’t actually care about the product, but instead blames the product for something that is irrelevant to it, if you see what I mean?